Amazon Prime members can score T-fal Nonstick Dishwasher Safe Oven Safe Stockpot Cookware, 12-Quart, $16.46 with free shipping. 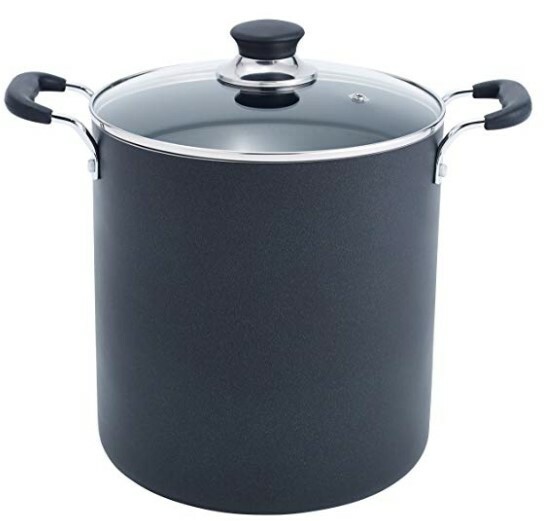 The 12 quart capacity is perfect for cooking delicious, large family meals. The high quality nonstick interior and exterior coating makes cleaning easy and quick. The total nonstick construction delivers even heat distribution for reliable cooking results.